Not counting roses and irises that got all the attention (and posts) during the corresponding Months, there is no other note about which I’d write that many times. Not only I like mimosa and its scent, but also I firmly associate it with spring. So every year about this time I get an urge to smell mimosa, wear perfumes with it as a dominant note and to write about it. 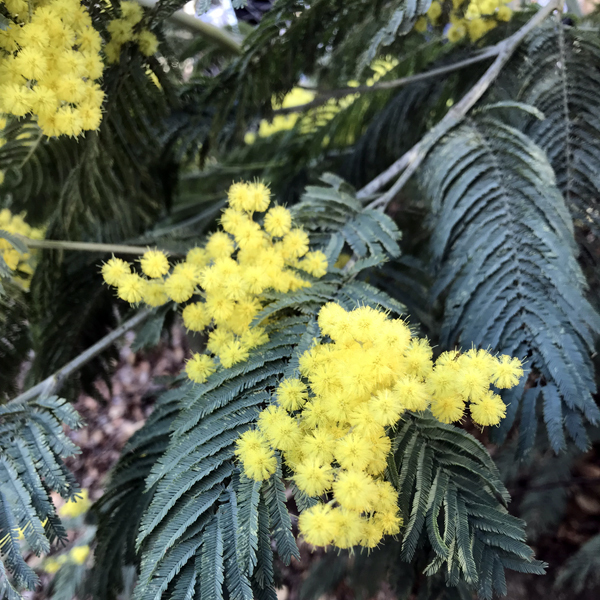 This winter was warmer than usually in our area, so I wasn’t surprised much when I saw blooming mimosa in the beginning of February. The tree was in such place to where I couldn’t easily get, so I snapped a couple of pictures but told myself that there would be plenty of opportunities in Sonoma where we planned to go for my birthday. There was plenty of mimosa: we saw it everywhere as we were driving by on a highway. But as a cruel joke or some anti-mimosa conspiracy, wherever we stopped – be those wineries, small parks or the ranch where we stayed – there wasn’t a mimosa twig in sight! Think about it: when you want just to look at a tree (any tree, not some special and known one) from up-close, smell it and take a picture or two, there is no a search term you could enter into the map app or a search engine to find that tree. So even though I enjoyed my birthday trip enormously otherwise, I felt a little disappointed about not getting to experience mimosa in all its beauty. But when I returned home, a pleasant surprise was waiting for me: Lucas (my perfume sibling and the author of the Chemist in the Bottle blog) sent me a birthday present. 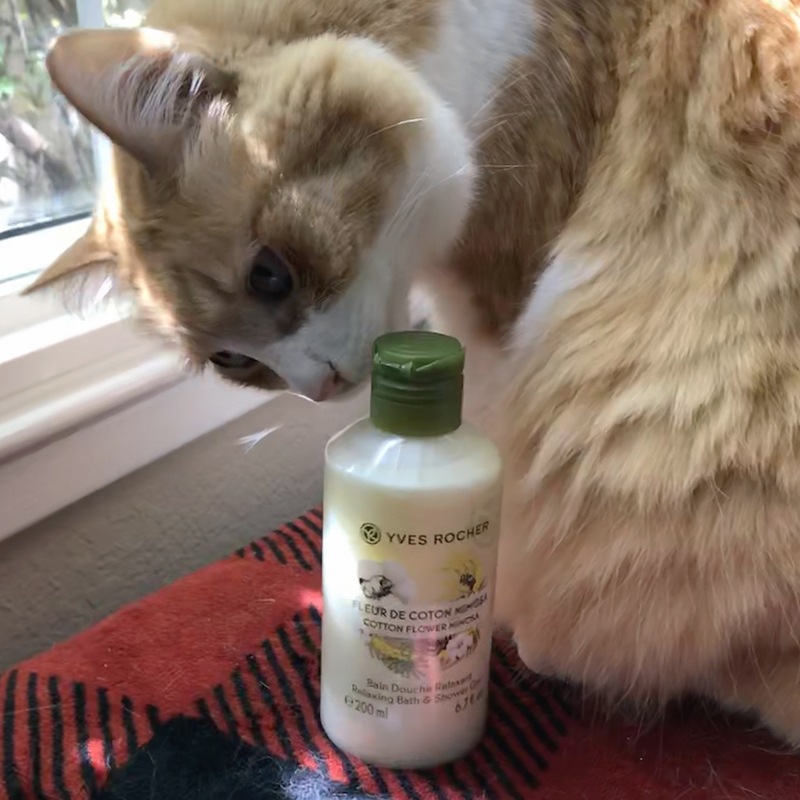 A couple of weeks earlier he reviewed a new Yves Rocher shower product – Cotton Flower & Mimosa. It immediately piqued my interest but at that time Yves Rocher US site didn’t stock it yet (for those of my European readers who don’t know that, YR doesn’t have B&M presence in the U.S., so the only way you can buy something is either from the website or a catalog). I prepared to wait and see if it gets here eventually (it did! ), but Lucas was so sweet and surprised me with that package. 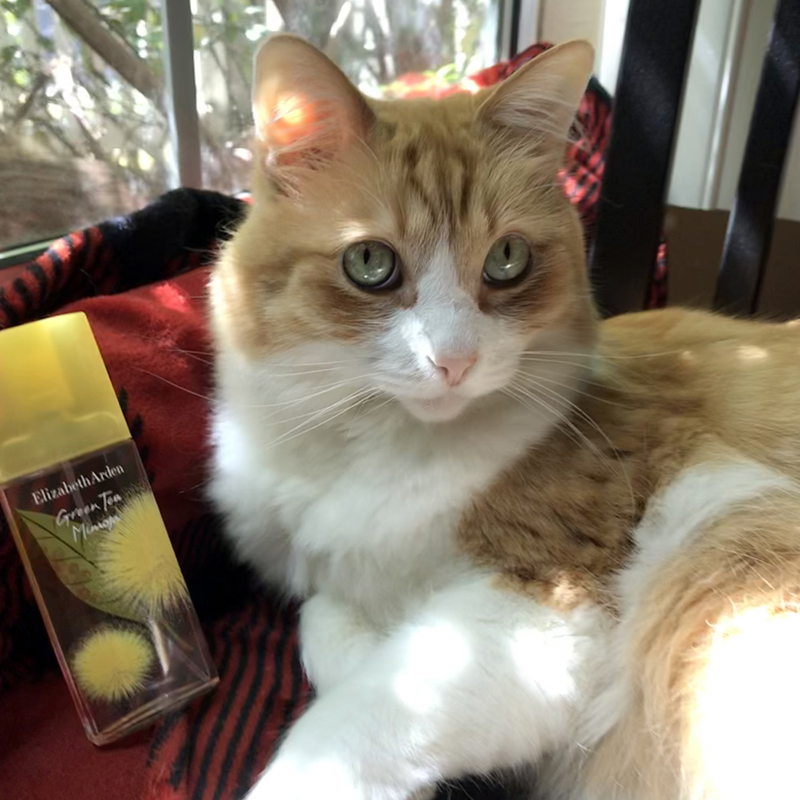 Cotton Flower & Mimosa shower gel is wonderful even if you do not get it as birthday present, and it won’t break the bank – so I wholeheartedly can recommend it to mimosa lovers. But that wasn’t the end of my mimosa saga for this year. A couple of weeks after that I received a package from another perfume friend, a rare guest author on this blog and the third person in our perfume sister/brotherhood, hajusuuri. Among the expected decants from the recent NST split and shared samples, there was another surprising item: a bottle of Elizabeth Arden’s Green Tea Mimosa. I remember reading about this perfume earlier and expressing interest, but I don’t remember if hajusuuri was present for that conversation. But she saw Green Tea Mimosa at Marshalls (store similar to TJ/TK Maxx) and thought of me. More than a decade ago I was deeply in love with the original Green Tea perfume. I went through at least a couple of bottles of it. It was light and green and happy. I don’t remember why I didn’t buy the next bottle once my last one was empty, but I don’t think it was because I stopped liking it – most likely, something else (probably Jo Malone’s scents) seemed more appealing at the time. In Green Tea Mimosa flanker I think I recognize the frame of the original scent. And it has a nice mimosa accord once the initial blast of a pleasant citrus calms down. I love it because it was a present. But besides, I know that I’ll get good use of it during the summer. And while if you’re new to the brand and this perfume, there is no good reason for you to hunt this specific flanker, if you were a fan of the original Green Tea and you like mimosa, check your local eBay listings. Since the last post on the topic of mimosa, I discovered two more great mimosa perfumes. Unfortunately, Sonoma Scent Studio Bee’s Bliss, about which I wrote not long ago, is not available any more, which is too bad since it happened to be one of my most favorite SSS’s perfumes. The second perfume came to me as a sample (again) from Lucas. He liked Jean Charles Brosseau Fleurs d’Ombre The Poudree and did a great review for it, so since I agree with his take I won’t attempt to find different words to describe Fleurs d’Ombre The Poudree. I’ll just say that only inaccessibility stops me from getting a small bottle for this spring. But most likely I’ll get it eventually. Meanwhile, I’ll enjoy ee’s Bliss and all other mimosa perfumes that I accumulated over the last seven years of search: Givenchy Amarige Harvest Mimosa, Frederic Malle Une Fleur de Cassie, Guerlain Champs Elysées, Jo Malone Mimosa & Cardamom, Prada Infusion de Mimosa and Atelier Cologne Mimosa Indigo (I won’t link to the previous posts but those who are interested can easily find those through My Perfume Portrait or Related posts below). Do you like mimosa perfumes? What is your current favorite? Even as a young girl I hoped to someday have a vanity, on which there would be a mirrored tray, full of fine perfumes in their beautiful bottles. The bottles atop my cabinet now — Agent Provacateur comes to mind, in its pink ceramic egg crowned by a plain metal spray nozzle — aren’t the most appealing ones. Those are stashed safely in the dark interior. As I was reading that passage, I realized that from an early age my idea of storing perfumes was somewhere in the dark – a cupboard, a dresser or a cabinet. A mirrored tray hadn’t been a part of our culture: usually there was not enough space in the bedroom to have that tray and nothing to put on it. Since perfumes were rare and expensive women tended to store them in the original packaging. Opening a box, getting a bottle out and sparingly applying a perfume – all these were parts of a ritual. After moving to the U.S., for years, while coming across perfume bottles in my friends’ bathrooms and on their dressers, I would wince. I never offered any unsolicited advice but it felt like a sacrilege to leave unprotected perfume out in the open. But over time I came up with a rationale why it was an acceptable MO: with those 2-3 bottles that my friends owned they were much more likely to run out of perfume than have perfume running out on them (through evaporation or turning bad). While I think it is fine for “civilians” to store and use their perfumes as they pleased – be it even on a windowsill or in a glove compartment – I still get distressed every time somebody demonstrates pictures of their poorly protected collections in perfume-related FB groups. I do not comment but I feel bad about those bottles. And I do not buy partial bottles without a box any more. The picture above shows how my collection is stored. 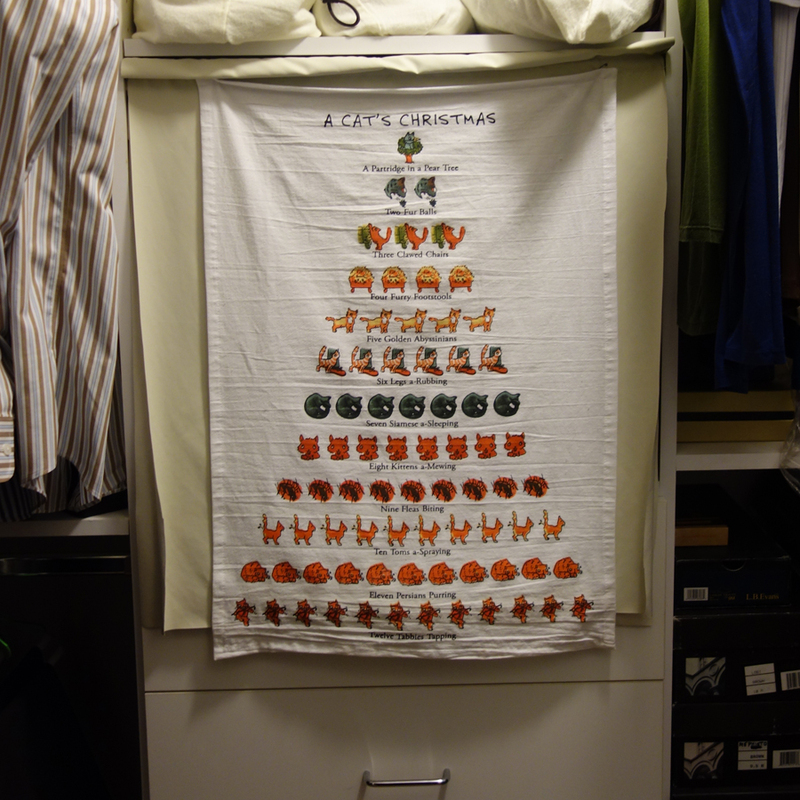 In the walk-in closet, away from direct light, covered by a curtain from a blackout fabric (the cat-Christmas-themed towel on top is for decorative purposes only) and in their original boxes. And, as I recently commented on Vanessa’s post on a similar topic (Through the keyhole…a peek at some of my friends’ perfume collections…), in summer for those couple of days when it gets especially hot I turn AC on during the day to keep my perfumes safe. 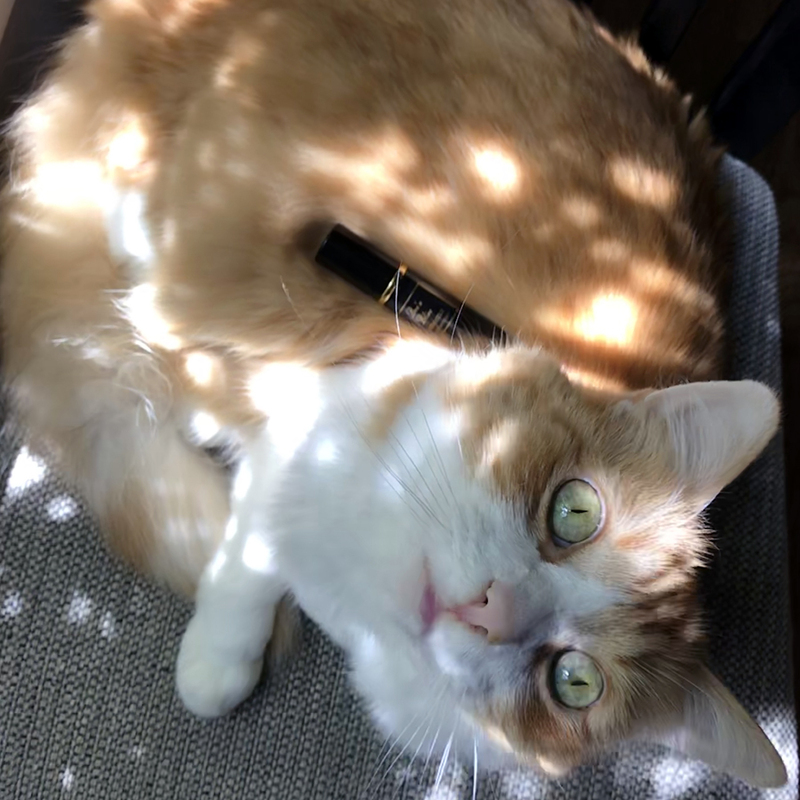 It’s interesting because Rusty doesn’t mind hot weather and it’s much cooler in the room where he spends most of his time while we’re away working. After this substantial preamble I want to admit that for a while now I’ve been thinking how unfair it was that I get to see those beautiful bottles that I have in my collection so rarely and how great it would be to have some of them out on my dresser. After all, many of the bottles are beautiful and unusual – unlike most boxes, I must say. As much as I would love to see my collection more often, there is no way I could put perfumes I love “in the harm’s way.” First I decided I would buy several perfumes just to use bottles. I didn’t want to spend too much on this project but I thought of a couple of brands that were perfect candidates: I liked the bottles and didn’t like those perfumes. First I bought Van Cleef & Arpels‘ Feerie EdT. Feerie EdP (a beautiful dark-blue bottle) was next on my list and I even found it for an extremely good price… It was too good to be true: the seller was confused and sent me the second bottle of EdT, which I returned. Then I was too busy to keep looking for it. The second brand I wanted to use for the purpose of displaying was Salvador Dali. But even though many of their perfumes are sold at discounters online, I don’t remember when I saw any of the bottles last so I was afraid that by now they might look really cheap. So I kept postponing the purchase hoping to come across them one day somewhere. And I had the same problem with a mirrored tray: while there were many online offerings, I just couldn’t buy any of them without actually looking at them: there are so many cheap-looking objects produced nowadays. 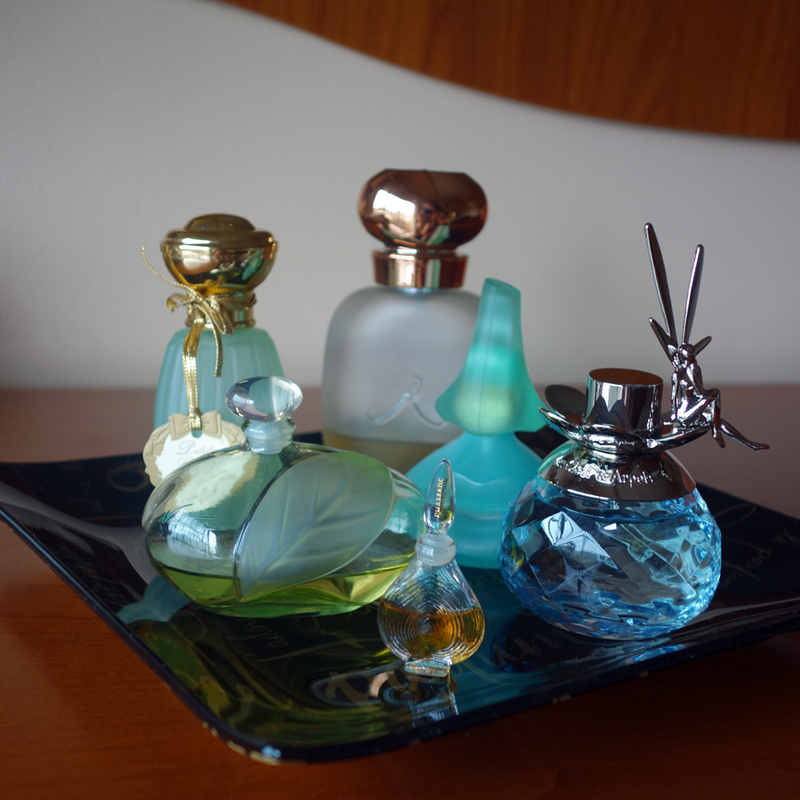 Instead of a tray I put on my dresser a decorative plate “J’adore Parfum – I Love Perfume” that I got as a gift with purchase. Vintage mini-bottle of Chamade by Guerlain that I bought at a thrift store (perfume is marginally usable but I prefer a modern version). Do you buy unboxed bottles? Do you have any bottles on display? * I cannot give you a link to that post because there’s something funky going on with that blog, it has some strange redirect happening and I suspect malware. Last week when I suggested a virtual experiment with a signature scent to my readers, I decided to go further and actually wear Nature by Yves Rocher – the perfume I selected as my Imaginary Signature Scent for a week. Since I was still at home I didn’t feel the pressure: there was nobody else to keep me to my perfume choice and I could end the experiment at any point. I wore Nature as my main perfume for four days. It was still pleasant and not overbearing but I realized that Nature was too simple to satisfy my current tastes, I would want something more complex and multidimensional if I had to wear it for a while. Day five was my work from home day when I usually do not wear any perfumes but test several instead. So I interrupted the experiment. When I resumed it on the sixth day I enjoyed Nature more than for a couple of days before then. I’m not sure why: either because I felt slightly guilty for interrupting the experiment or just because I gave my senses some rest but it smelled much better. Day seven didn’t bring any more discoveries and I was glad that the experiment came to the end. I haven’t changed my opinion of Nature and will be revisiting it once in a while (not the least to handle that beautiful bottle) but I do not think I’m ready to settle down with any perfume. What about you? Did you play the game? Most perfumistas aren’t a “one perfume person.” We get defensive every time we (voluntarily!) participate in creating all sorts of lists – Top N Favorite/Desert Island/Apocalypse/etc. Perfumes – and try to sneak in an extra bottle or three. But what if you were told that starting tomorrow for a week you’ll have to wear just one perfume from your current collection (FB or a decant big enough to last for a week). It’s not for the rest of your life; before and after the experiment you could wear absolutely anything; you wouldn’t have to get rid of the rest of your perfumes so you do not need to choose the most valuable or your one and true love – just the one that you think you could wear for seven consecutive days in this season. 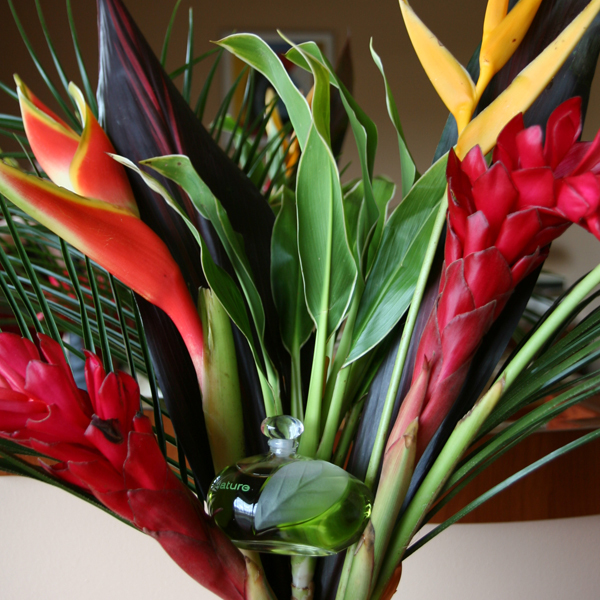 My choice – Nature by Yves Rocher. Why? For many years I didn’t wear the same perfume for two days in a row let alone for a week so I’m not sure how I would feel about wearing most of my new favorites for that long. Nature and I, on the other hand, have a long history together so I hope that I could still tolerate its company for longer than with most other perfumes. And since Nature has a sentimental value for me, even if after such an experiment I get so tired of it that I don’t want to wear it again for a while, I think our relationship will survive. What perfume would you choose as your Imaginary Signature Scent for a week and why? Now the hard part: starting tomorrow… no, I’m not that cruel to suggest you to actually wear the same perfume for the whole week. But every time you apply any other perfumes during the next seven days just think about your ISS: was your choice the right one? Would you still want to wear it that day? Come back in a week and let me know – I’ll start a new post to share the results of my experiment with Nature. It has been a long time since I published the first episode in which I shared my impressions of Pur Desir de Lilas by Yves Rocher, Lilac by ElizabethW, French Lilac by Pacifica, Lilacs & Heliotrope by Soivohle, Highland Lilac of Rochester, After My Own Heart by Ineke and En Passant by Frederic Malle. Since then I bought French Lilac by Pacifica – as I planned, still haven’t got Highland Lilac and tried more lilac perfumes. Purple Lilac by DSH Perfumes and White Lilac by DSH Perfumes. They both smell quite realistically: I could clearly picture each of the flowers; purple lilac – slightly wilted, with some green; white – brighter and fresher. I like White Lilac more but both do not seem like a finished perfume. 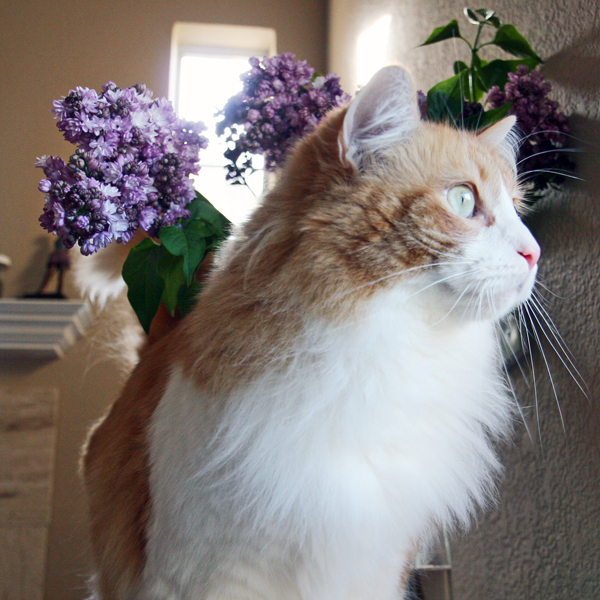 Lilac by Demeter (2009). It’s perfect for the price I paid (~$5 for 30 ml). I don’t think it’s a perfume for adults but it makes a nice room spray: it smells good but doesn’t stay long enough to become overwhelming. Purple Lilac (Lilas Mauve) by Yves Rocher (Annick Menardo, 2012). Last year I jumped through some hoops to get it from the U.K. since it wasn’t available yet from the U.S. website. It smells of lilacs if you smell it alone but in comparison to other lilac scents it seems too artificial. I was so disappointed that I haven’t even compared it to the other Yves Rocher’s lilac I own – Pur Desir de Lilas. After all the testing I realized that even though I still miss lilacs and still enjoy the smell of flowers (and my ideal lilacs bouquet has only lilacs in it) I do not want to wear it as a soliflore. 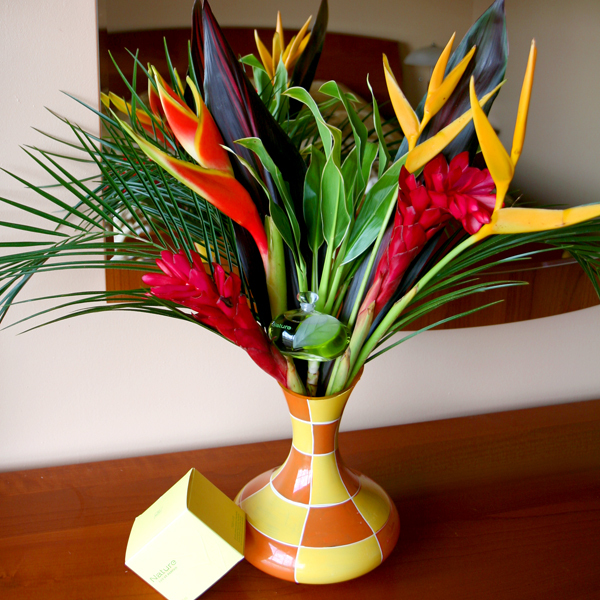 I like the note in perfumes but I want it to be well-mixed with other flowers. I think at least partially it’s because now I know that there is no natural lilac, this note is either created artificially or recreated using other floral notes so a single-dimensional scent seems too simple. If I ever want just it Pacific’s perfume is more than enough (I urge you to try a roll-on if you haven’t tried it yet). I was really looking forward to trying Opardu by Puredistance (Annie Buzantian, 2012): if anybody, this brand could pull off this note in a beautiful composition… I can’t say I disliked Opardu: it was very pleasant and it did start with a burst of beautiful lilacs but it didn’t wow me. After the first disappointment wore off I tested Opardu again, this time with a better response – that’s how it usually happens to me. Now I plan to try it sprayed since I suspect it might wear differently this way. Rue des Lilas by Phaedon (Pierre Guillaume, 2011) just happened upon me. I heard something about it and spontaneously decided to buy a small decant from a split. I was pleasantly surprised by the perfume: it’s an interesting composition of wood and my two favorite nonexistent (for the perfumery purposes) flowers – lilac and lily-of-the-valley. Unlike Demeter’s or Yves Rocher’s lilac perfumes Rue des Lilas is a lilac perfume for grown-ups. My problem with this perfume is that I dislike the bottle: it reminds me of functional products. So if I decide to get more after I use up my decant I might go for the next decant. White Lilac & Rhubarb by Jo Malone (Christine Nagel, 2012) was a strong like from the first sniff. Since it was a limited edition I had to decide quickly… I enjoy wearing it in hot weather. It’s more than just a lilac perfume: rhubarb and heliotrope add complexity and sweetness to the bouquet. I know that there is supposed to be rose in it but I can’t smell it at all (which isn’t necessarily a bad thing since Jo Malone’s Red Roses turns awfully soapy on my skin). With White Lilac & Rhubarb I had one of those moments when you keep turning your head trying to figure out from where that great scent comes only to realize that it’s coming from you. I like this perfume but still can’t imagine that anbody in her right mind would pay the price currently asked for it! And it’s not even a question of how good the perfume is: it was out there for such a short period of time that I don’t know how anybody could have developed such a deep connection to it to spend $300-$500 on a 100 ml bottle. 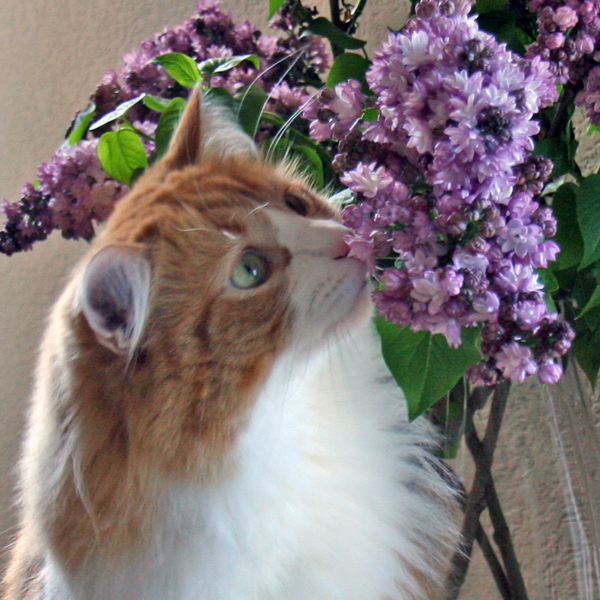 Do you have a favorite lilac perfume? On my recent visit to Nordstrom the friendly SA slipped into my shopping bag two samples of the new perfume by Cartier – Baiser Volé. First – Cartier isn’t one of the houses that I have any sentimental connection to, I’ve never owned or even liked any of their perfumes. Second – I usually do not test mass market perfumes right away: I get them, stash away, try the perfume during my next trip to a store on a blotter and then, if I liked it enough, maybe, at some point I might test it on my skin. I don’t know what happened this time. I blame Dee with her mainstream scents testing (this and this). And the SA who was so enthusiastic about getting this perfume and being able to give me a sample (she was telling me about it a month ago and waited for it to arrive). So last weekend I mentally mapped my escape route to the sink with hot water and sprayed Baiser Volé on my wrist. Created in 2011 by Mathilde Laurent, Baiser Volé is all about lily. It starts with a strong burst of a lily scent. It smells like those lilies in a bouquet which you’re not supposed to leave in the room where you sleep (has anyone tried it ever? I haven’t but I remember that rule from when I was a kid). The smell is so intense that it’s impossible to say if it’s natural or artificial. In 10 minutes it calms down to … more lily accompanied by some synthetic peppery note. And then (in 2-3 hours) it dries down to … yep, even more lily. Somewhere in all that there is a powdery aspect but I can’t remember exactly on which stage I smelled it and I’m not testing it for the third time. I wore Baiser Volé on its own first and then side by side with Pur Desir de Lys by Yves Rocher. They are very different in the first 10 minutes when Cartier’s creation is much more intense and loud but after that, without knowing which wrist was sprayed with which perfume, I would have had a really hard time telling them apart. Unfortunately, Yves Rocher discontinued its lily perfume and though it still can be found on eBay, its price isn’t that much more attractive than the price of a new perfume from Cartier. And the latter has a better designed bottle. 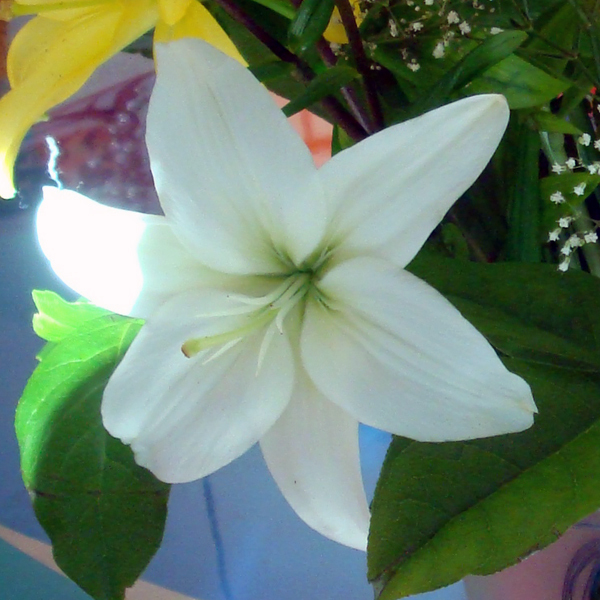 So, if you really like lily and want to wear a soliflore based on this flower, Baiser Volé might be not a bad choice. For me it’s too simple and… too much. I didn’t get a headache but I was bored. And, in addition to that, the name annoys me. Why a Stolen Kiss? What does a loud, blaring scent of a lily have to do with a daring but still tender moment which I imagine when thinking of a stolen kiss? I have no idea. If this perfume were to symbolize a behavior I would say it calls for a restraining order. 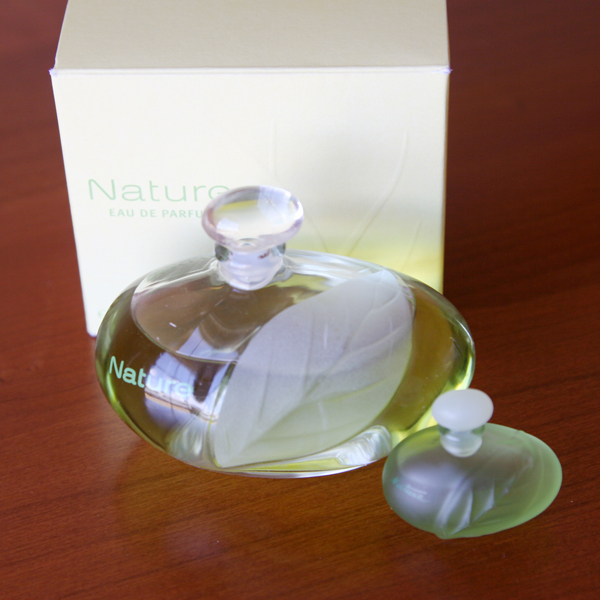 Nature was the first perfume I bought from Yves Rocher. Many years ago I found it in a store and fell in love with it. 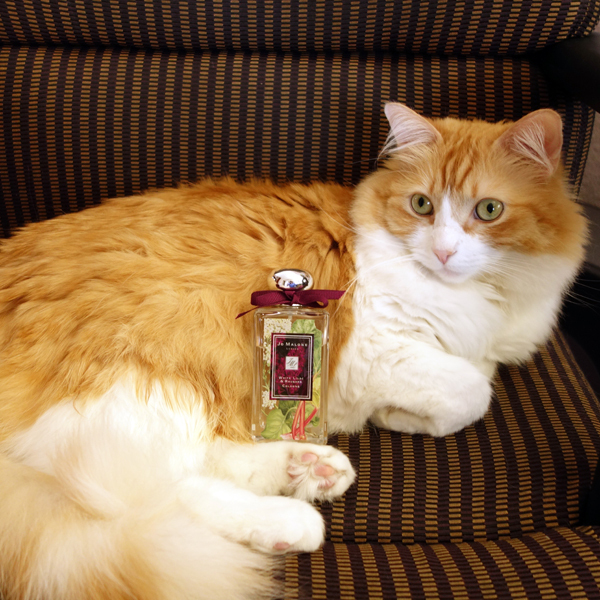 I liked everything about it – the scent, the bottle and even the name. I didn’t like the price: Yves Rocher was an expensive brand in the country where I lived back then. But I was drawn to that leaflike bottle and after two-three staring matches with it in a showcase I built up the nerve to approach it. I bought a mini bottle which cost me more than I’ve ever paid afterwards for any full size bottle from Yves Rocher. But that was all I could afford at the time and I felt very happy. The small bottle on the picture is that first bottle of Nature perfume. It’s almost 20 years old. In a couple of years after moving to the U.S., I discovered Yves Rocher’s website and ordered a full bottle of Nature EdP. It became my favorite spring-summer scent. I went through almost the entire bottle but it was too large and came in a splash version with a stopper. So even though I was very careful with decanting it for a daily use, the remaining 20% of juice went off. By that time the perfume was gone from the U.S. market. I was sad but I didn’t think I could do anything about it (eBay came into my life much later).